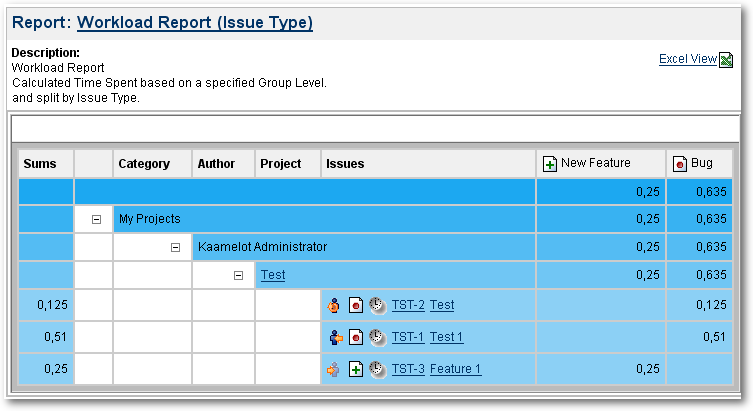 Report Workload IssueType displaying Spent Time by Issue Types. Reports Workload Project is displaying Spent Time against Estimates. WorkloadProject Workload Report (Project) : Calculations are done, taking in account the spent Time of all project's issue, not only the identified one. 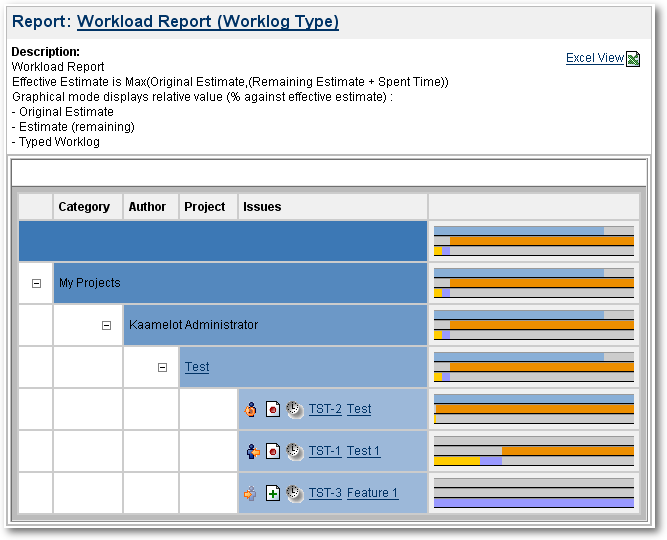 WorkloadOnPeriod Workload Report on Period : Same as WorkloadProject, but taking in account only the spent Time of identified issues. 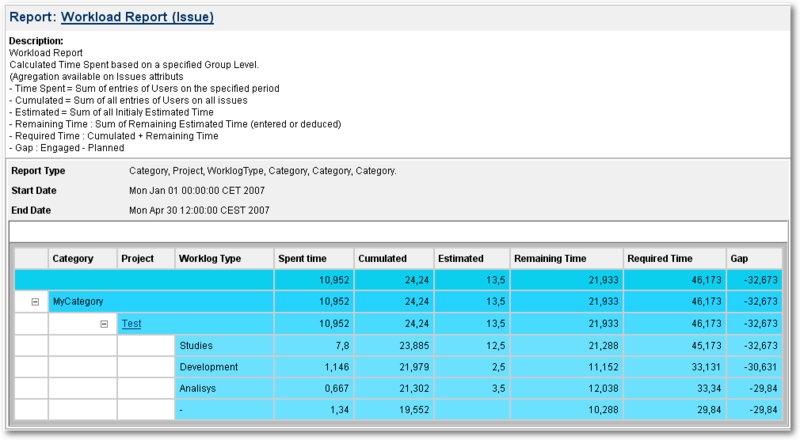 WorkloadIssueReport Workload Report (Issue) : Same as WorkloadOnPeriod, but criteria may be selected one by one. Report Workload WorklogType displaying Spent Time, Estimate expressed in percent (Graphical or not).